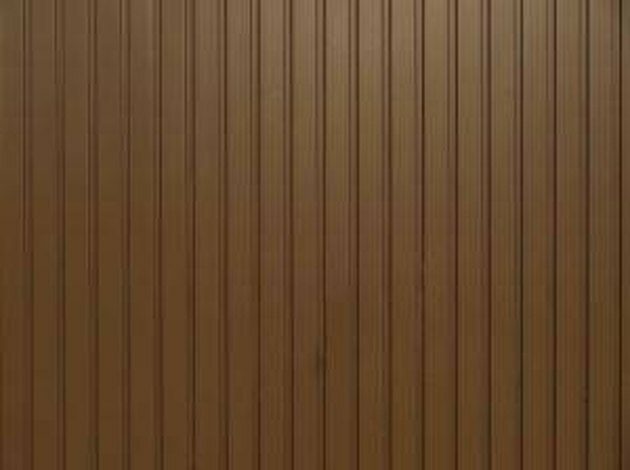 Beadboard is a decorative style of wood paneling that has evenly spaced grooves on the surface. It's popular for use in cottage or Cape Cod style homes and furniture. Beadboard is usually installed vertically, although some people install it horizontally for a different look. There are two types of beadboard. Tongue-in-groove beadboard comes in singular boards. Sheet beadboard is a length of wood, usually in 4- or 8-foot lengths. Standard beadboard comes in 1.5-inch and 3-inch widths. The size is determined by the width of the flat area between the beading. You can also have custom widths made. Beadboard provides a sturdy wall or ceiling surface and adds some insulation to a wall. Beadboard can be used for ceilings, walls and cabinetry. It can cover an entire wall or be used as wainscoting, which covers just the lower portion of the wall. Tongue-in-groove beadboard can take a long time to install, because it's done board by board. The amount of time should be taken into consideration when planning your project deadline.